Our clients asked us to prepare a feasibility study on this mixed-use site in Berlin. The core use of the building was to be student housing, but there was a supermarket on the ground floor and the corner of the site had to be redeveloped as an office building for the previous site owner. 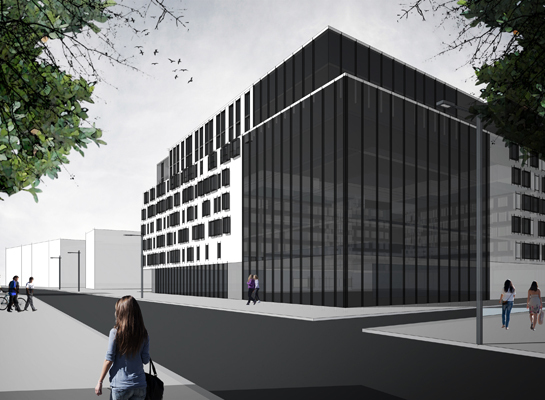 We collaborated with our partner office in Hamburg, Andreas Rowold Architekten.